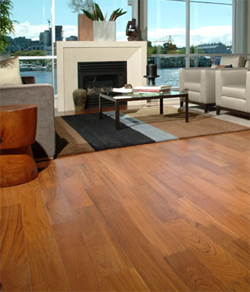 The Kentwood Collection offers an outstanding selection of authentic, fine quality hardwood flooring that's right in step with contemporary design trends and decorating tastes and in tune with standard installation techniques. Every style of Kentwood flooring is custom-manufactured and factory-finished to our own exacting quality standards, and subjected to rigorous quality control processes. Choose from traditional solid hardwood in classic and exotic species, elegant engineered floors, rustic hand-scraped planks, bamboo, and distinctive specialty floors like the Venice line of designer floors. From wood selection to construction design to factory finishing, every aspect of Kentwood floors is designed to deliver outstanding beauty, durability and value. Whichever style you choose for your home, the Kentwood name is your assurance of quality.